Thank you for all of the outreach you do. You seem to be getting more and more comfortable being out and about in the population at large and your comfort level seems to be reflecting back on you from all that you meet. Having people meet and interact with any of us and come away with a positive reaction is good for all of us. Thanks so much for the out-reach programs you participate in, Stana. You're a wonderful person for taking "what you really are" and honestly telling others about yourself. You're a natural! Hopefully, with time, the rest of "us" will never have to have that need. Most of us are rarely mentally equipped to do what we want, keep up the good work (good works actually) you're doing! It also doesn't hurt that you're smart as well as lovely! You go girl! Opps!! 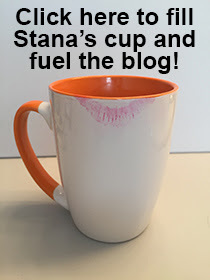 Did NOT mean to indicate your work as a "need", Stana! I meant, hopefully none of US will ever have to explain to anyone! Eventually we will be accepted "as is", but sadly, it is currently just a fact of our lives that we aren't in all circles. I hope I said that right this time. Sorry for any misunderstanding. ps; IMO you're still as smart as ever and a beaut to boot! Hi Billie --- When I read your comment, I took it as you intended it, not the wrong way! Thank You for sharing your outreach experiences. They are very interesting, and I'm glad this one was so comfortable for you. Cute story,thanks for sharing,it's good that today's youth is able to be exposed to the diversity,wish someone like you was around during mine.